Graham Kendrick is possibly the best known songwriter of this generation. This double CD has all of his best known songs, including 'Meekness and Majesty', 'Servant King', 'Amazing Love', and 'Shine Jesus Shine'. 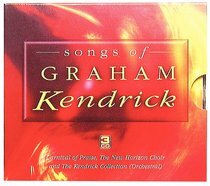 About "Songs of Graham Kendrick"